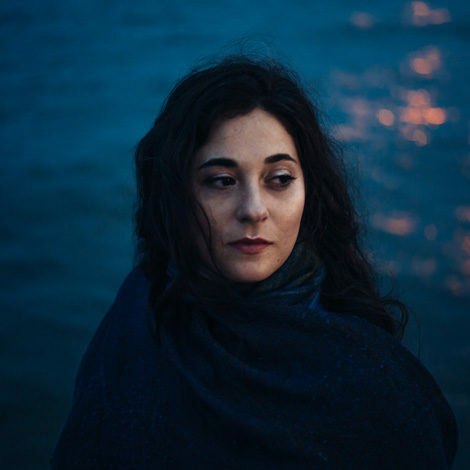 Elana Arian inspires communities across the country with her soulful music, and has collaborated with some of the leading voices in contemporary Jewish music, including Dan Nichols, Josh Nelson, Noah Aronson, and Debbie Friedman, z”l. Elana has served on the faculty of both Shirei Chagiga and Hebrew Union College – Jewish Institute of Religion, teaching guitar at the Debbie Friedman School of Sacred Music. In addition to her work as a guest artist in residence for congregations and communities across the United States, Elana has been in residence in the Friday worship ensemble at Central Synagogue for the past 11 years. Elana Arian is a busy multi-instrumentalist, composer, and recording artist. She studied conducting and violin, jazz guitar, and songwriting at Yale and has performed at some of the most celebrated concert halls in the country, including Carnegie Hall, Lincoln Center, Tanglewood, and perhaps most memorably, five different performances at the (Obama) White House. Elana has appeared on NPR’s Soundcheck, as well as on PBS’ Finding Your Roots, and she is thrilled to have recently released her third album of original music, A Spark of Light – a collaboration with Grammy-winning producer, Ben Wisch. A sought-after studio musician, Elana also maintains a busy recording schedule, working with such varied artists as Peter Yarrow, the Dirty Projectors, and Rose Polenzani (see below). Elana has opened for and collaborated with David Wilcox, Catie Curtis, and Erin McKeown, and she held the guitar chair in the recent smash revival of Sweet Charity starring Tony winner Sutton Foster. When not performing, recording, or writing, Elana spends her time chasing her 5 year-old daughter, Maya, around the playgrounds of Brooklyn with her wife, Julia.